In general, all systems need an annual inspection and test, but that is just the tip of the iceberg. Most systems require more. 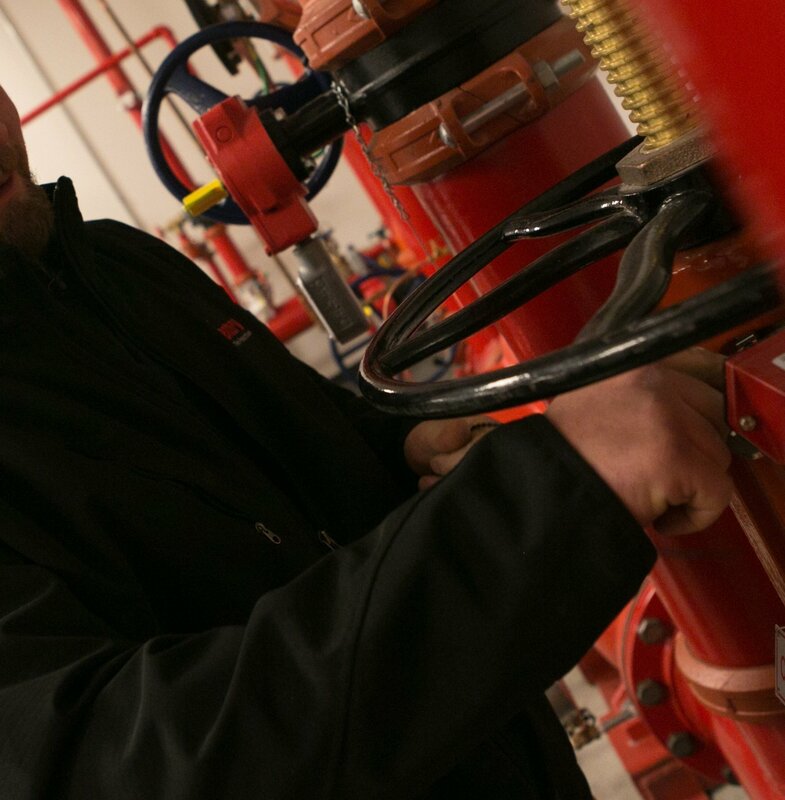 Wet, Dry, Preaction and Deluge Fire Sprinkler Systems require inspection, testing and/or maintenance in the following intervals. To view the detailed test scope performed during each of these intervals, check out The Ultimate Sprinkler Maintenance Cheat Sheet. So what takes place during the annual inspection? During the annual inspection, your contractor should inspect and exercise each control valve, test the sprinkler alarms (flows, tampers, etc..), conduct a water flow test at both ends of the system to verify water availability, and record water pressure. They also inspect coverage of system and the condition of the sprinkler heads, branch lines, risers, cross mains, hangers and other related components of the system. Dry Systems and Preaction Systems require a partial trip annually which means the technician will cause the valve to change state from air to water without tripping the system and filling the entire pipe network with water. It is only on every third year during the annual inspection, that the entire sprinkler pipe network is filled with water and the technician records the time it takes for the water to reach the most remote point from the riser. You can read more about 5 year inspection and testing here.